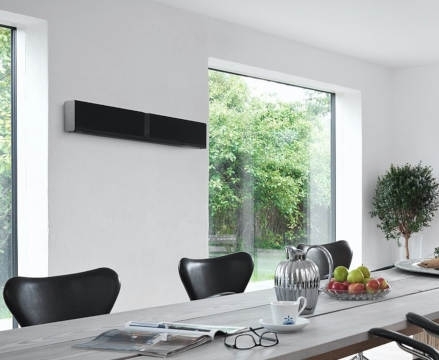 More than just a soundbar, the Dali Kubik One is one of the best quality speakers on the market today. 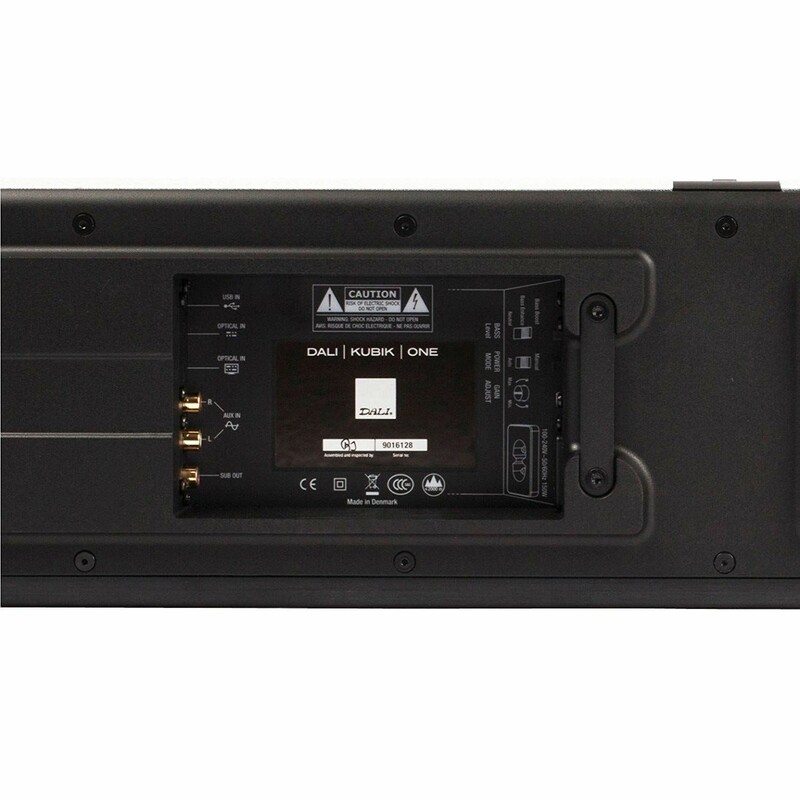 With a powerful Class D amplifier that provides 100W of power to the speakers, it’s the perfect way to add dynamic, room-filling sound to your flat-screen TV. What’s more, aptX Bluetooth connectivity makes it ideal for streaming music, and enjoying a whole new level of enjoyment to all your old favourites. 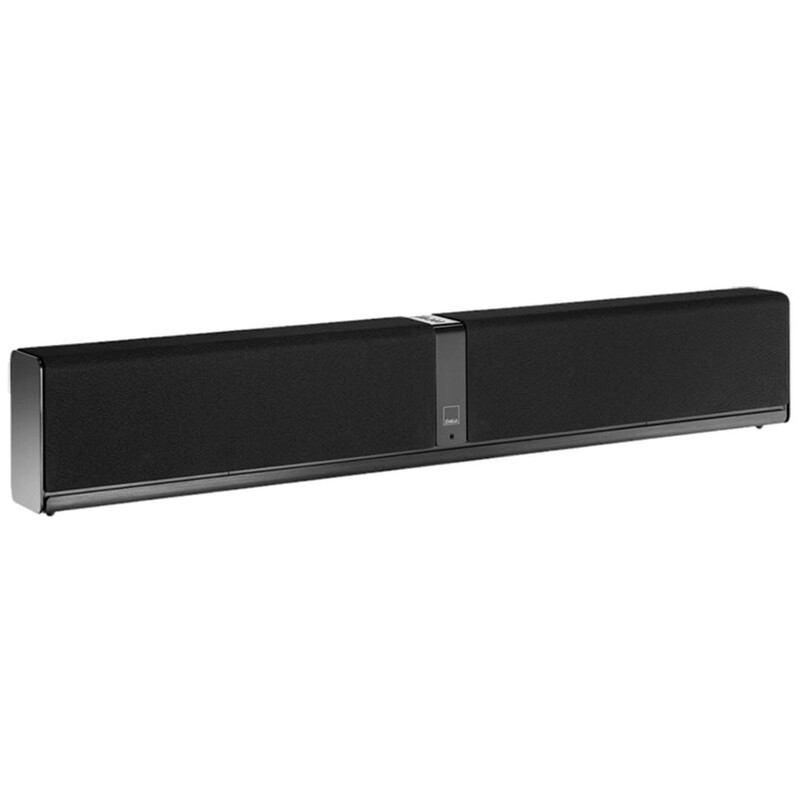 With its striking yet minimalist appearance, the Dali Kubik One is as much a design statement as it is a soundbar. As standard, it comes in a choice of black, red, or white grilles. 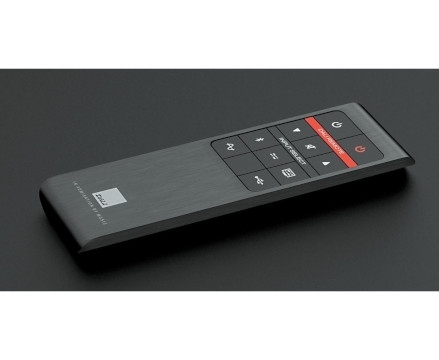 However, if you’d like to add a splash of colour to your TV setup, then there are six optional extra grilles available in a range of different shades. When tech looks this good, you’d be forgiven for wanting to hang it on your wall- and in fact, the Kubik One comes with built-in keyhole mounts to do just that. Dali clearly have high aspirations for the Kubik One. 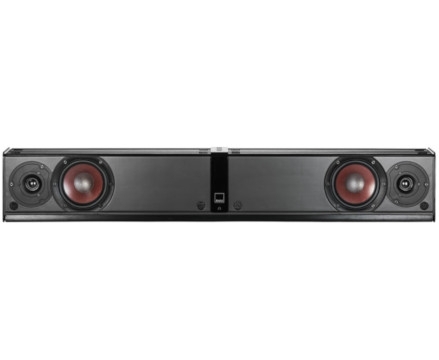 They see it as much more than just a soundbar, instead referring to it as an “all-in-one sound system”. 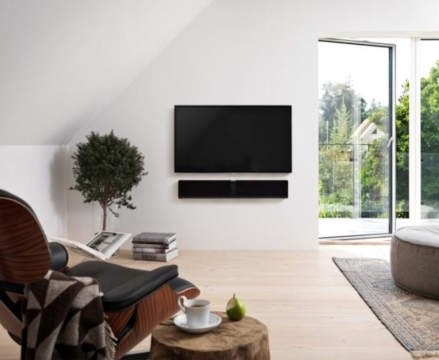 These claims are backed up from the moment you first switch on the Kubik One, as your living room is immediately bathed in beautifully high-clarity audio. With a pair of 1” soft dome tweeters (larger than the industry average of ¾”), treble tones and dialogue remain remarkably clear without ever sounding harsh. The powerful midwoofers, meanwhile, are carefully positioned inside 13cm wood fibre cones and low-loss rubber surrounds, to ensure the sound is never less than pitch-perfect. Speakers are only as good as their amplifier, and the Dali Kubik doesn’t disappoint on this front. 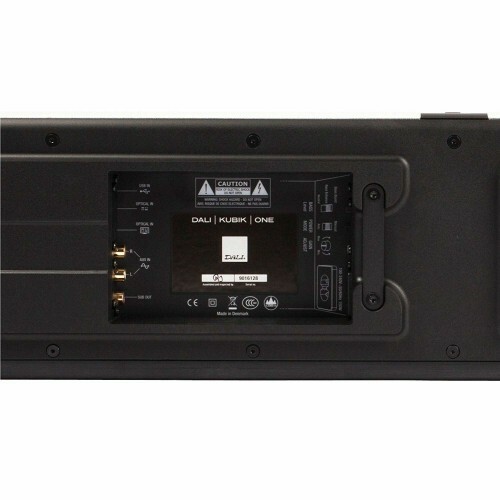 Using a Class D, four-channel stereo amplifier, it provides a colossal 100W of power across all the speakers. 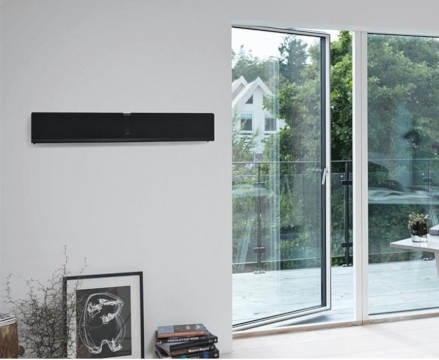 Even if your living room is on the large side, the Dali Kubik One is still plenty powerful enough to project dynamic sound throughout. As you’d expect from an all-in-one soundsystem, the Kubik One comes with a whole host of connection options built-in. 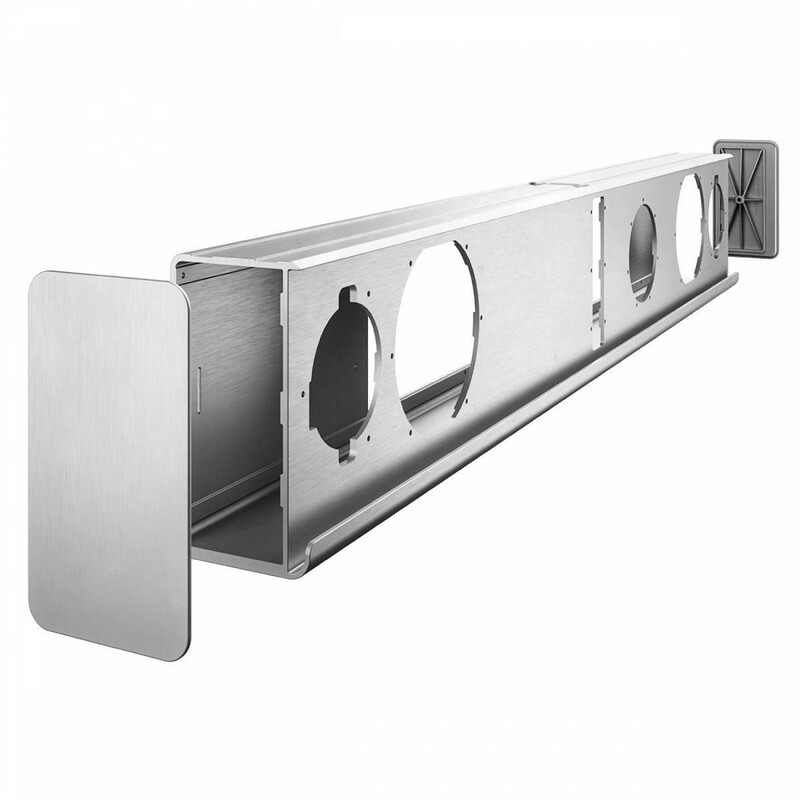 Most notably, there are two optical connectors, allowing you to hook up both your TV and your hi-fi at once. What’s more, with aptX Bluetooth functionality, you can enjoy lossless streaming from compatible smartphones and tablets. That means you can enjoy the full power of the Kubik One when listening to your favourite music. There’s even a USB port to access hi-res audio files in perfect clarity. 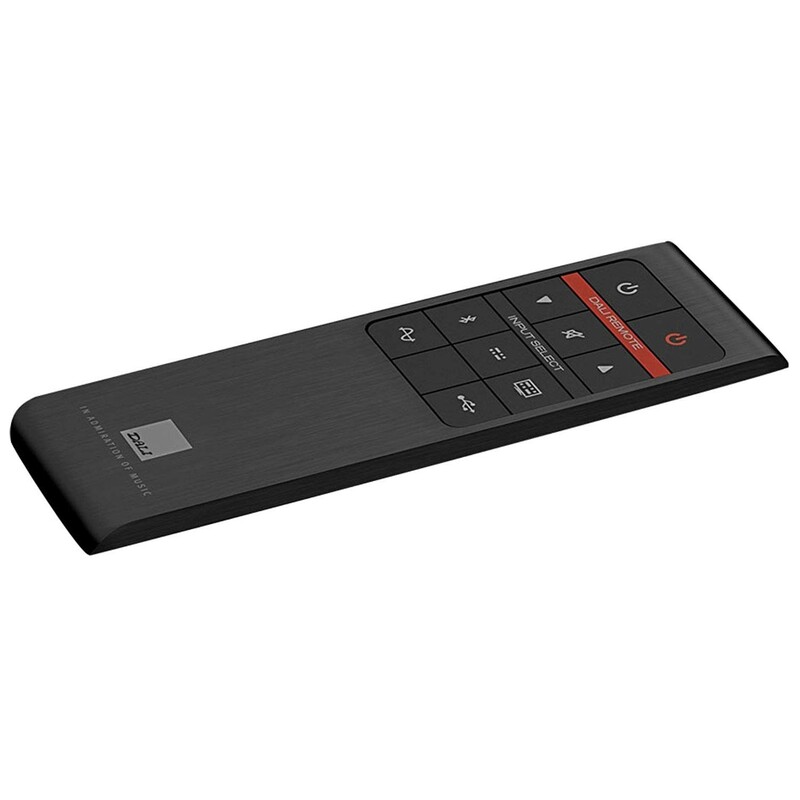 As standard, the Kubik One comes with a remote control that’s as stylish as the soundbar itself. If you’d rather keep things as simple as possible, though, then it also comes with a neat IR learning feature that lets it work with virtually any other remote, too. It even wakes up on signal, helping to save power when not in use.